It is called “The Forgotten Chakra.” It is the organ produced by the pregnant body to nourish and support the life that is growing in the mother’s waters. It is the sibling to the child in the womb. It is the placenta. The power of the placenta has begun to be restored in the minds of mothers and families around the world in recent years. Beautiful placenta art, placenta encapsulations, tinctures, even placenta smoothies, are all ways that the placenta and its nourishment for mother and baby is being honored. You and your baby's placenta serves as the sacred connection of life for nine months of growth. Placenta is considered to be powerful medicine as it is life giving and stores the vital essence for the baby. Placentas are amazing organs. They foster life in the womb from the time they are formed, but their role and influence does not cease at birth. Instead, they are perfectly created to nourish the mother and help her recover more quickly from the birth and pregnancy. Placenta capsules enable her system to gradually balance itself, and ease the transition to motherhood. Placenta is made by your own body it contains your own natural hormones that will restore your body. Once your placenta encapsulation is scheduled and you have filled out the placenta encapsulation request form, we will be on call 24/7 for 2 weeks prior to 2 weeks after your due date. Once we receive notification of your delivery, we will come to your home or the hospital within the 24 hours to begin the process to encapsulate your placenta. While you bond with your new baby, establish breast feeding (if this is your choice) and celebrate with your loved ones, we will be in charge of taking care of your placenta. Whether birthing at home or in a hospital, please ensure that your placenta is kept fresh. It can remain at room temperature for 3-4 hours following the birth. After that it should be refrigerated or otherwise kept cool. If you are practicing some form of delayed cord cutting beyond the 3-4 hour window, a half lotus or full lotus birth, please contact me, we can still prepare your placenta but certain measures should be taken to preserve it while attached to the baby, so it can be used for encapsulation. It is your responsibility to notify us after the birth (ideally within 24 hours) to make arrangements for pick up, drop off, or for us to come to your home. Failure to do so may result in delayed placenta preparation and encapsulation and may cause spoilage of the placenta which would render it unusable for encapsulation. For home births: The preparation of your placenta at home is a 2 day visit process. During the first day, we will spend approximately two to two and a half hours preparing the placenta for the drying phase, making the tincture and if preferred the raw cubes first shake, then leaving the placenta to finish drying overnight (the dehydrator must be kept out of reach of pets and children and should not be disturbed). The next day, I will return to complete the encapsulation step, which takes about one to two hour. You can begin taking the capsules right away for maximum postpartum benefits. If you are having a home birth but you prefer to have the preparation in our facilities, we will be happy to pick up your placenta, and deliver the preparations to your home. For hospital births: It is your responsibility to discuss release of your placenta from the hospital where you give birth and to ensure proper labeling and storage of your placenta in a refrigerator or cooler with the placenta placed on ice until it can be picked up or delivered for preparation and encapsulation. Your placenta should not be treated with alcohol, formalin, or any other preservative. Please contact us if you need assistance with hospital release. You should contact the hospital directly prior to the birth, not just your doctor or midwife. Please notify the nurses of your placenta release upon your arrival at time of labor. If it is going to be more than 48 hours before the placenta can be prepared, it should be frozen. (A frozen placenta will take somewhat longer to prepare since we prefer to gently defrost it prior to preparation). It should be possible to claim your placenta after Caesarean surgery. Even if you and baby are recovering in the hospital and you prefer a home preparation we will be able to encapsulate your placenta at your home with your partner or any other relatives present. – It is important to note that there may be circumstances under which your placenta cannot be used. Significant abnormalities of the placenta may necessitate your doctor or midwife sending your placenta to Pathology for further examination. – Other conditions, such as signs of infection in the mother during labor, may mean that consuming your placenta will not be beneficial to you. If in doubt we will consult with you before proceeding. I also offer a complimentary Mother's Tincture and Placenta Print with both encapsulation methods. Preparing the placenta this way has been used in TCM for thousands of years. The placenta is gently steamed on a bed of lemon, ginger and hot pepper. It is then dehydrated, powdered and encapsulated. In the process of being steamed, a “broth” forms. This broth can also be ingested by the mother for the nutritional properties, or can be given to the Earth in your garden or your house plants to nourish them. The Raw method skips the steaming process and gets put directly into the dehydrator after it has been gently washed and sliced. Moms who have experienced this method report a noticeable boost of energy. The temperature at which it is dehydrated is at 145-165 degrees. This is the only truly raw method. 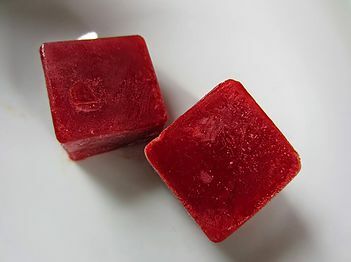 The placenta is cut up into cubes and then placed in the freezer to use in smoothies. Effects will be similar to Raw Dehydrated method. When you choose this method we offer preparation of the first smoothie at home or delivery service of the first smoothy to the hospital. Additional to any placenta preparation, you can request 2 placenta smoothies to be delivered within 12 hours following your birth, to home or hospital. 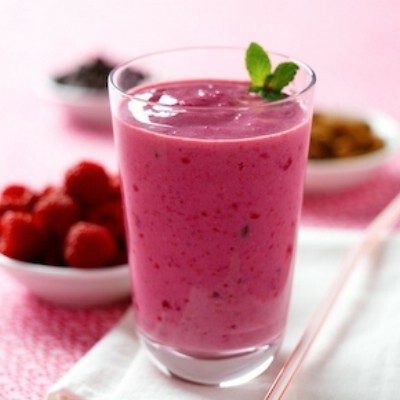 *Delivery or preparation at home of the first Placenta Smoothie is complimentary with the Raw Cubes preparation method. “Placenta Mother Tincture” It's an alternative and complementary method of ingesting your placenta for a long term period. It can be used for mother during postpartum, in menstrual difficulties or later in life during menopause and for the child in any time of trauma, transition, emotional distress etc., for many years after preparation. The tincture is made by placing a small piece of the raw placenta in high grade alcohol and left to macerate for 6 to 8 weeks, once ready it will last for many years; t his tincture is very shelf-stable if kept in a cool dark place such as a cupboard, increasing the length and benefits of your placenta for both mother and child. Detailed instructions on how to use this mother tincture will be given to you at the time of preparation. We offer the preparation of a complementary tincture with the placenta encapsulation service. You can also choose to have only the placenta tincture and no capsules as a preparation method or in addition to the raw cubes. The prints are done before any washing or preparing of the placenta occurs, as it is the natural placenta blood that creates the print, and the prints are done on acid-free artist paper. Some families frame and hang them, or can be kept for personal keepsakes . Your baby's umbilical cord will be dried into a heart or a spiral keepsake. Some mothers chose to include them in baby books, keepsake boxes, medicine pouches, or bury them ceremonially. What you choose to do with it is your choice. The umbilical heart or spiral symbolizes the loving bond between mother and child. In certain cultures is tradition to bury the umbilical cord as a sign to keep the child grounded throughout their life an ensure they always returned home. includes placenta pickup and delivery, 1 ready to drink placenta shake deliver to hospital, or home preparation of first shake within 24 hours of the birth. Special discounts for Amankay Doula clients apply. Discounts for a combination of services apply. A deposit fee of $50 is required to schedule your placenta preparation. All fees are non-refundable after placenta pick up. Cash, check, and Paypal payment only. A fee of $35 for returned checks will apply. A travel fee of $20 in excess of 25 miles from Asheville will apply.